We constructed new sewerage pipes in the South Morang area to ensure the reliability of our sewerage system and protect the environment. Between October 2016 and December 2017 our contractor, MFJ Constructions, built a new 3 kilometre-long section of sewer pipe, and 30 new sewer manholes, within road reserves and the powerline easement in South Morang. 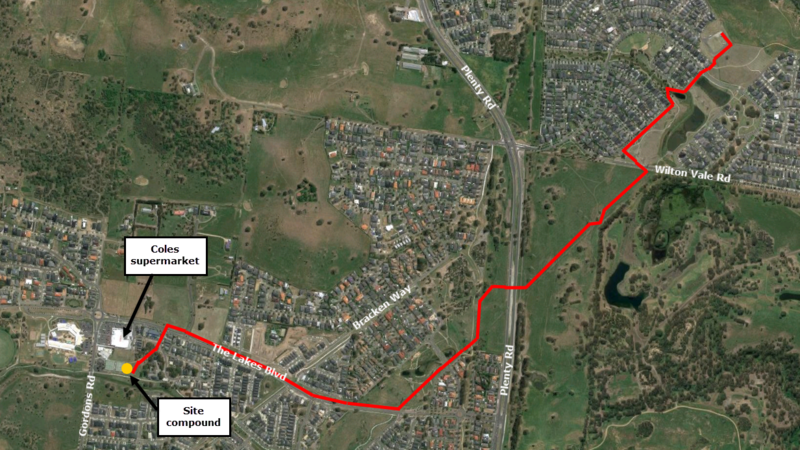 The new sewer pipe was built between Red Gum Grove Park (the reserve near the tennis courts) and the Wilton Vale Wetland in South Morang. If you have any questions or feedback about this project, please call the project manager, Leon Holewa, directly on 9872 1470.